a second date . . . and eventually into marriage. Then Connie tells Douglas that she thinks she wants a divorce. help him to bond with Albie. Europe to vivid life just as he experiences a powerful awakening of his own. his marriage, and maybe even his whole life, around? to writing and has twice been nominated for BAFTA awards. years and how does it affect their family life and their son? part? How does “real life” compare with our romanticized notions? How important is it for a person to stay true to their individuality? How do we reconcile individuality within relationships and families? traveling offer them? What emotional challenges does it raise? out? How does he adjust over the course of his journey? The parent-child relationship can be as frustrating as it is rewarding. Douglas and Albie? What helps them resolve their differences? through tough times? Do people give up on relationships too easily? What about Douglas and Connie? What about Albie? The meaning of love can change over the course of a relationship. the novel’s beginning to its end. How have the characters changed? Stayed the same? What have they learned? does art affect our lives? 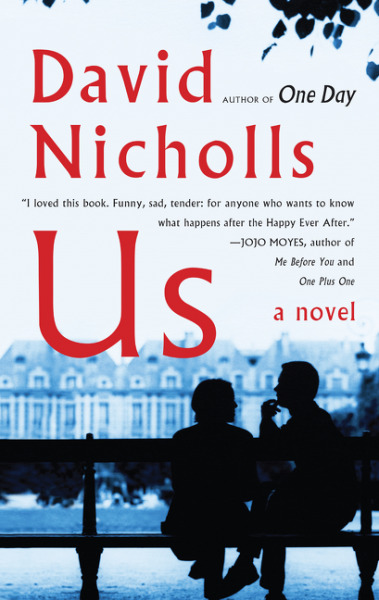 The novel is called Us. Is there really an “Us” in the story? If yes, who? If no, what inspired the title?